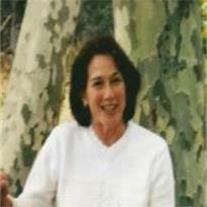 Jean Rayetta Cole Christensen, born November 22, 1940, passed away April 14, 2009 in Mesa, AZ. She is survived by her husband V. Rich Christensen, brothers Frederick (Judy) Cole, Ronald (Marilyn) Cole, sister Cecile (Dean) Jones, children Steve (Lori) Smith, Dean (Elisa) White, Glenn (Barbara) White, Deborah White, ten grandchildren and four great-grandchildren. There will be a viewing at the Highland Groves Ward, 4629 E. Guadalupe Rd. in Gilbert, Saturday April 18, 2009 at 11:00 AM followed by funeral services at 1:00 PM. Burial will be at the Show Low Cemetery Monday, April 20 at 4:00 PM.